In conjunction with Microsoft's ongoing BUILD Windows conference, we have just released betas of the next version of the Microsoft Web Platform. Today's releases include a lot of new functionality and I encourage interested parties to have a look at what's new in ASP.NET and WebMatrix. In this post, I'm going to focus on one aspect of the WebMatrix 2 Beta: extensibility. By exposing a public API and opening up the application to others, WebMatrix enables individuals and community members to customize the experience to best fit their own unique processes and workflow. Many aspects of the development experience are configurable, so users can become more productive by streamlining common tasks, automating monotonous ones, and simplifying difficult ones! 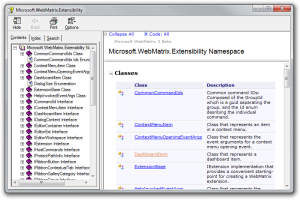 Extensibility for the WebMatrix 2 Beta takes three forms: task-based extensibility, help extensibility, and extensions. 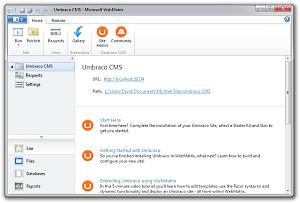 Task-based extensibility refers to the ability of a web application like Umbraco or WordPress to embed a file within the install package to customize the WebMatrix user interface for that particular application. By providing some simple XML, applications in the Web App Gallery can add custom links to the Ribbon or dashboard, protect core application files, provide enhanced Intellisense for PHP, and more. Help extensibility makes it possible to integrate custom content with WebMatrix's new, context-sensitive help pane. The new help system shows links to relevant content and videos based on where the user is in the application and what he or she is doing. Help content is drawn from a variety of sources; content providers can create custom feeds to cover new topics or provide more context on existing ones. This article explains how to create custom help content. For developers, the real power lies in the ability to write extensions that run inside WebMatrix because they're capable of far richer customization. 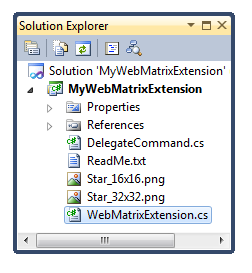 WebMatrix extensions can be written in any .NET language, are loaded by MEF, the Managed Extensibility Framework, and installed/uninstalled (behind the scenes) as NuGet packages (with a slight twist I'll explain in a different post). Similar to Visual Studio, WebMatrix has an extension gallery that allows users to browse and install extensions from a central feed - or create and share custom feeds! ImageOptimizer - This extension by Mads Kristensen makes it easy to "optimize" the PNG and JPEG images of a web site by removing unnecessary metadata and recompressing content to minimize file sizes - thereby keeping bandwidth down and site responsiveness up. Snippets - This extension by me makes it easy to insert snippets of text into an open document in the Files workspace. It was written to make WebMatrix demos a little easier (watch for it in the WebMatrix: uber geek in designer clothes presentation today at BUILD! ), but its simplicity makes it a good learning tool, too. I'll be blogging the complete source code for Snippets in a few days. Download the "WebMatrix Extension" Visual Studio project template, save the ZIP file in your "%USERPROFILE%\Documents\Visual Studio 2010\Templates\ProjectTemplates" directory, choose File, New, Project in Visual Studio 2010, select the "Visual C#" node, click the "WebMatrix Extension" item, type a project name (ex: "MyExtension" (no spaces, please)), and click OK. The project template sets up the right infrastructure, all the necessary references, includes pre- and post-build rules to make development a little easier, and helps get you started with a simple Ribbon-based extension that demonstrates some of the basic extensibility points. The template's ReadMe.txt explains how to configure Visual Studio so that pressing F5 will automatically load the extension inside WebMatrix for a simple, seamless debugging experience with complete breakpoint support, etc.. FYI that I'd like to improve this template by adding support for NuGet package generation (so it will be easier to deploy extensions to a gallery) and maybe also create a VISX wrapper for it (to enable more seamless install of the template itself). Aside: While the project template "helpfully" copies your extension to the right place for WebMatrix to load it on startup, the extension is not properly installed and so WebMatrix doesn't know how to uninstall it. For now, the easiest way to get rid of a custom extension is to close WebMatrix and delete the contents of the "%USERPROFILE%\AppData\Local\Microsoft\WebMatrix\Components" directory. That said, people are going to have a lot of great extension ideas that are either difficult or impossible to achieve with the Beta APIs. Not being able to put good ideas into practice is certainly disappointing, but it's also a great opportunity to let us know what features are missing from the API and how we can improve it! To make that easy, there's a WebMatrix forum where you can ask questions and exchange ideas. Once you've tried things out, please go there and share your thoughts! 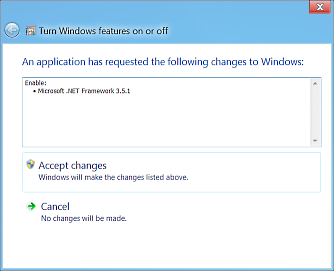 Further aside: It's natural to wonder if existing plugins for Visual Studio will "just work" in WebMatrix. The answer is that they will not - but in most cases it turns out that trying to load a Visual Studio extension inside WebMatrix wouldn't be all that meaningful anyway... At this point, the functionality of these two products and the target audience (both users and developers) are different enough that things don't align in a way that makes this scenario work. One of the challenges with referencing online content is that you never know just how long it will take to download... On a good day, images show up immediately and your application has exactly the experience you want. On a bad day, images take a looong time to load - or never load at all! - and your application's interface is full of blank spaces. Applications that make use of remote images need to be prepared for variability like this and should have "placeholder" content to display when the desired image isn't available. The result of this exercise is something I've called PlaceImage. PlaceImage has the same API as the framework's Image and can be dropped in pretty much anywhere an Image is used. To enable the "placeholder" effect, simply set the PlaceholderSource property to a suitable image. (Aside: While you could specify another remote image for the placeholder, the most sensible thing to do is to reference an image that's bundled with the application (e.g., as content or a resource).) PlaceImage immediately shows your placeholder image and waits for the desired image to load - at which point, PlaceImage swaps it in and gets rid of the placeholder! Thanks to placekitten for the handy placeholder images! Making use of online content in an application is easy to do and a great way to enrich an application. However, the unpredictable nature of the network means content might not always be available when it's needed. PlaceImage makes it easy to add placeholder images to common scenarios and helps keep the user interface free of blank spaces. 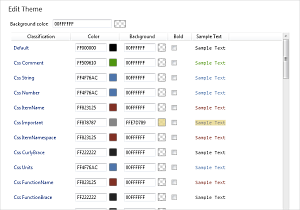 With easy support for WPF, Silverlight, and Windows Phone, you can add it to pretty much any XAML-based application! Changes to the Source property of a loaded Image immediately clear its contents. Similarly, changing the Source of a loaded PlaceImage immediately switches to its placeholder image while the new remote content loads. 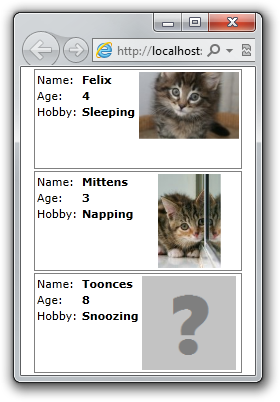 You can trigger this behavior in the sample application by clicking any kitten. Because the Silverlight version of the demo application references web content, it needs to be run from the PlaceImageDemoSL.Web project. 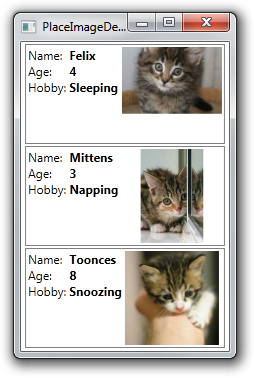 (Although running PlaceImageDemoSL will show placeholders, the kitten pictures never load.) The MSDN article URL Access Restrictions in Silverlight has more information on Silverlight's "cross-scheme access" limitations. 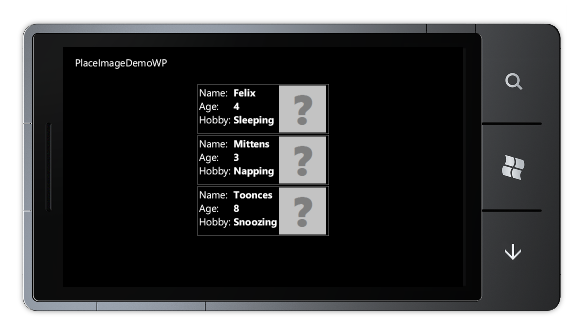 Control subclasses typically live in a dedicated assembly and define their default Style/Template in Generic.xaml. This is a great, general-purpose model, but I wanted PlaceImage to be easy to add to existing projects in source code form, so it does everything in a single file. All you need to do is include PlaceImage.cs in your project, and PlaceImage will be available in the Delay namespace. The absence of the StretchDirection property on Silverlight and Windows Phone isn't the only platform difference PlaceImage runs into: whereas Silverlight and Windows Phone offer the handy Image.ImageOpened event, WPF has only the (more cumbersome) BitmapSource.DownloadCompleted event. The meaning of these two events isn't quite identical, but for the purposes of PlaceImage, they're considered equivalent.